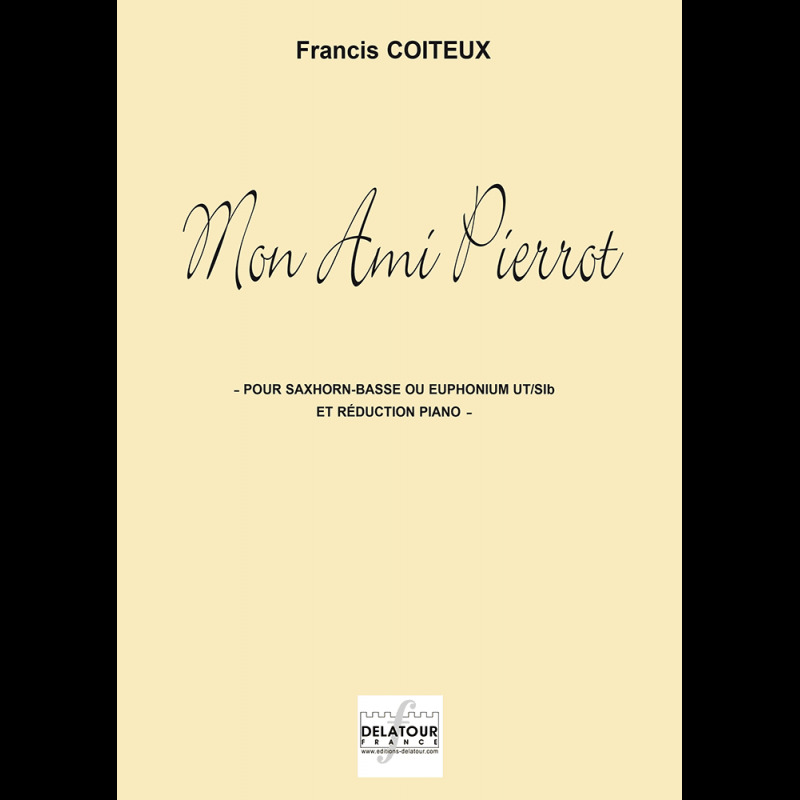 Built on the 5 notes of the second stanza of the famous children's song "Au clair de la lune" whose words are "mon ami Pierrot", this work, in form of varied theme, will see its topic undergoing most extravagant and surprising transformations. After the introduction exposing the theme, it is an "allegro spirito" going throught various surprising topics, then followed by an "andante cantabile" of jazzy accents, which continues with a bright "allegro giocoso" with a rythm of tarentella. From one 8 minutes duration, this work has the assets of seduction, more especially as the dedicatee, shining instrumentalist, has two necessary qualities : friend of the composer and naming Pierrot !